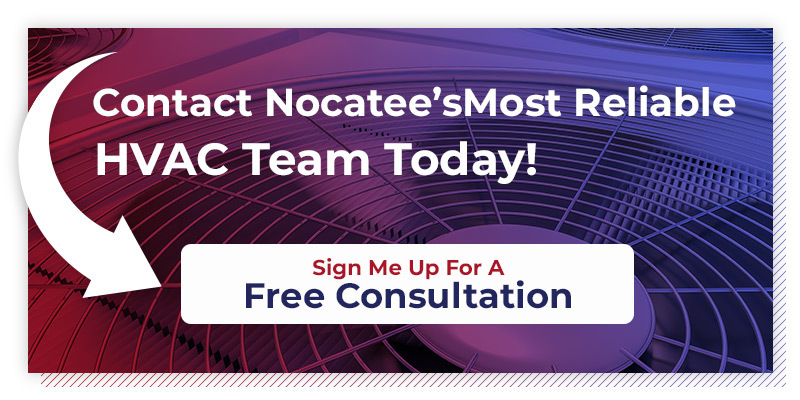 When you choose to work with a local HVAC company in Nocatee, you want to know that you’re getting the very best in air conditioning repair and other HVAC services available in your area. While plenty of other HVAC companies have come and gone, Howard Services Air Conditioning in Nocatee has been around for over 50 years. We’ve put in the hard work our customers deserve since day one. That’s why residents and businesses alike turn to Howard Services for all of their residential and commercial HVAC needs. 1. We have the air conditioning repair, installation, and maintenance plans that will meet your needs and keep your system running. 2. Friendly, punctual techs who will solve your problem fast. 3. A commitment to completing your job correctly and in a timely manner without overcharging. 4. A client-focused approach to your care and service — we always want to leave you with a smile on your face. The knowledge and experience that comes with over 50 years of servicing Nocatee’s HVAC systems. Get all of the HVAC services you need — from air conditioning repair to air filter changing and duct cleaning — from the professionals at Howard Services Air Conditioning. Our reliable, expert technicians will get your system back into optimal shape fast so you can stay cool in the comfort of your home or office. When you work with Hoard Services, you can count on us to take care of you any time of day or night, so you’ll never have to worry about air conditioning downtime again. Once your HVAC unit is fixed, we’d be happy to help keep it running with an annual maintenance plan, or to continue to provide you with any of the other HVAC services we offer. More than just reliable air conditioning repair services, Howard Services Air Conditioning can help with all of your home or business’ HVAC needs. If you have questions for our team or are ready to talk to us about how we can help take great care of your air conditioning, heat pump, or other HVAC systems, get in touch today.